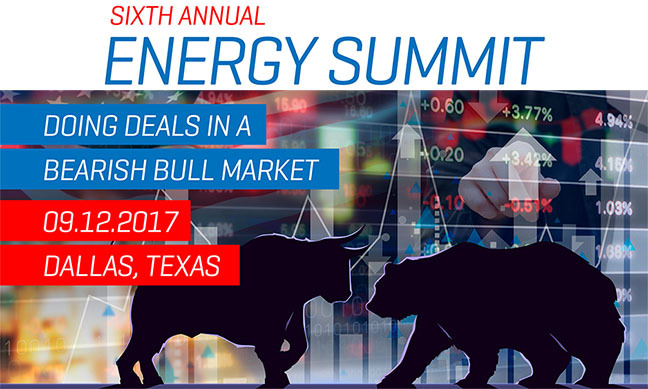 Join top minds and key players in the energy industry at the 6th Annual Energy Summit. Bankruptcy and restructuring advisors and others will gain valuable insights into current issues, trends and developments, as well as the opportunity to network and make new contacts at a cocktail reception. For Sponsorship Opportunities, contact: Cheryl Campbell, ccampbell@aira.org or call (541) 646–9261. 3:05 – 3:40pm Keynote Presentation: Texas Lt. Governor Dan Patrick. Moderator: Jason Abbott, FTI Consulting, Inc.
Scott Smetko, EnCap Investments, L.P. Credits: Up to 3.5 CPE available. Cancellation must be received 5 business days before the event for a full refund; after that, a $25 cancellation fee will be charged. Substitutions will be allowed. For assistance or questions regarding refund, complaint and/or program cancellation policies, please contact our offices at 541.858.1665. For additional questions or for resolution of any complaint, please send an email to Thomas Morrow, Executive Director, at tmorrow@aira.org.